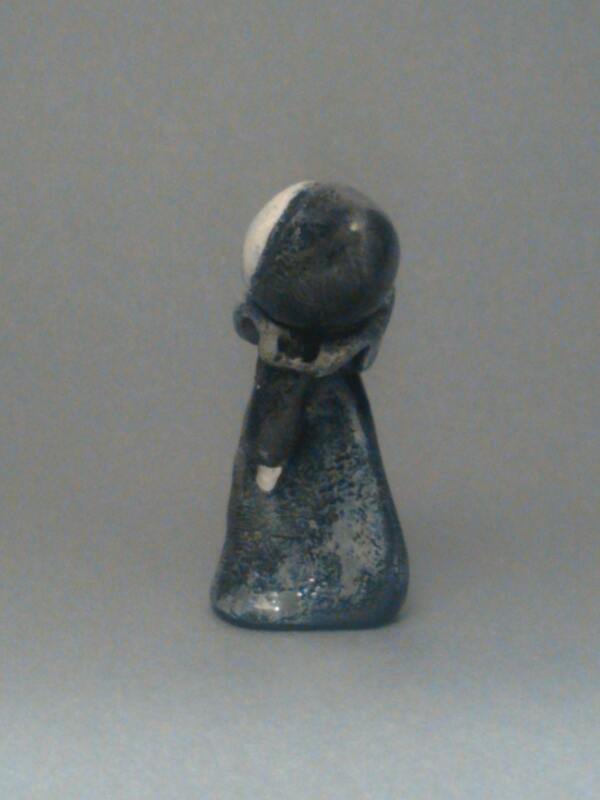 Mini Poppet in Black is hand sculpted and painted. Each is a tiny bit different from every other. All are MUCH bigger inside than out. All this watching in such a tiny creature! 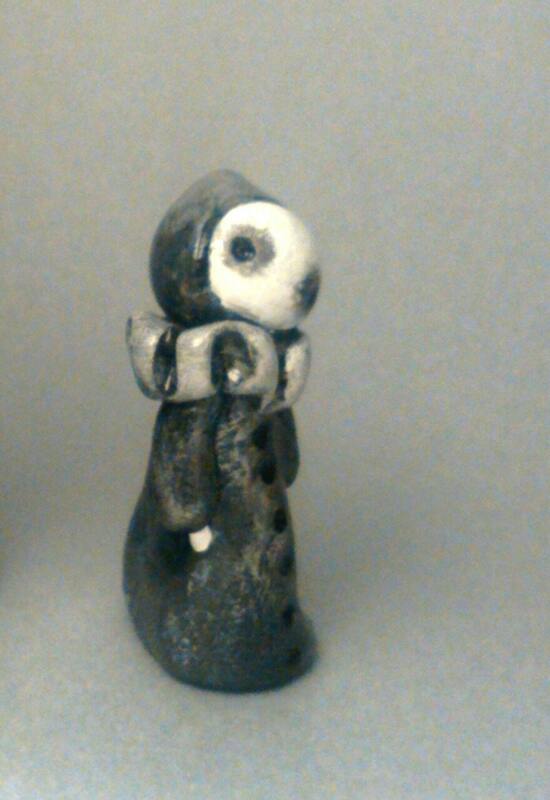 Comes in its own cute mini packaging, perfect for giving or adopting. 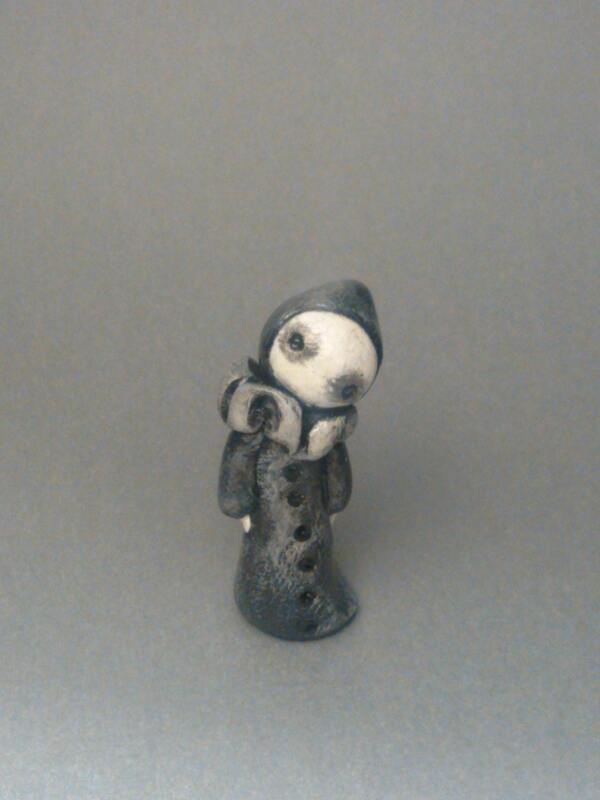 Mini Poppets are made with love. 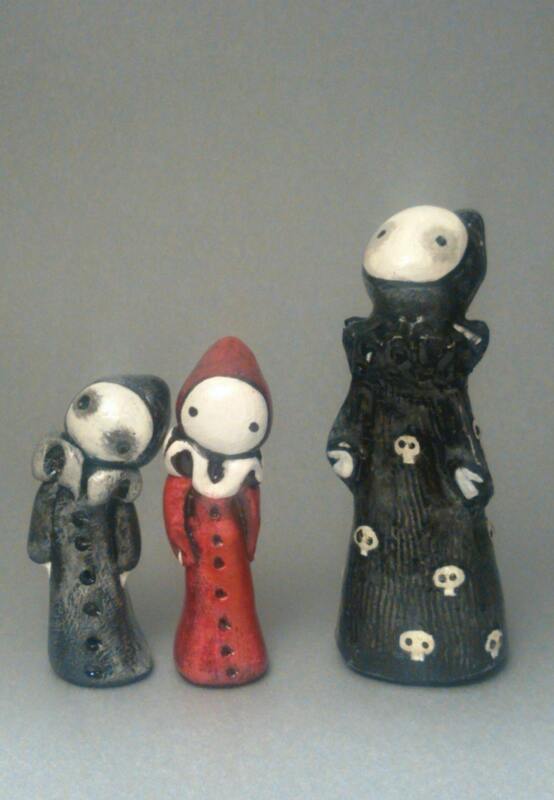 Skull Poppet shown for scale, is available separately, Red Mini too.